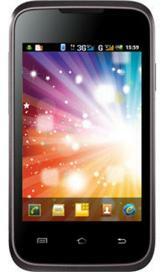 Micromax A54 Smarty 3.5 is a Dual SIM phone runs on Android v 2.3.5 Gingerbread OS. It bears single core 1 GHz processor from Qualcomm, 3.5” HVGA capacitive touch screen having the resolution of 480×320 pixels, and 3 megapixels camera. As with all the Micromax phones, this phone also a powerful battery backup of 1300 mAh which can last for 170 hours on standby and 4 hours talk time. The phone also has the Connectivity options include Bluetooth v2.1, Wi-Fi 802.11 b/g/n connectivity, and micro USB v2.0 and Internal Memory of 130 MB that can be expanded up to 32 GB.